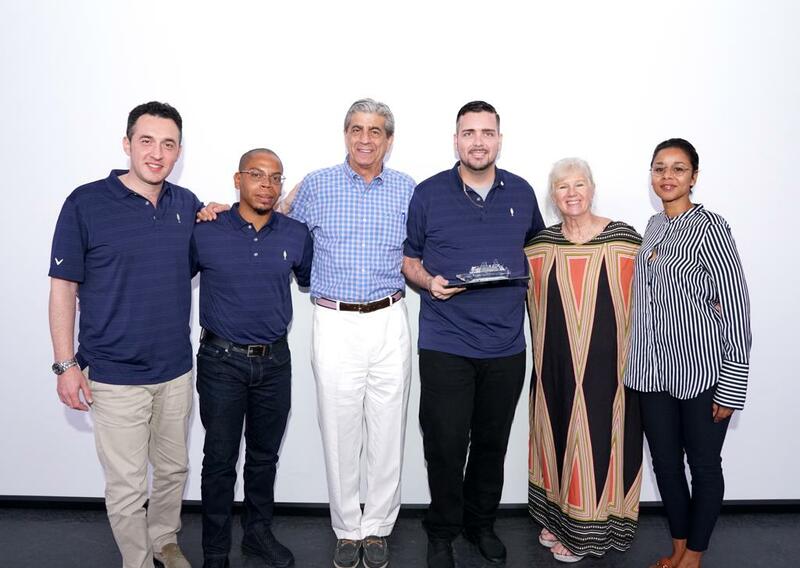 PORT ST. MAARTEN – Port St. Maarten received the ‘PAMAC Award Caribbean for Everyone’ on Tuesday this week during the Florida-Caribbean Cruise Association (FCCA) Platinum Associate Membership Advisory Council Cruise Summit (PAMAC). On Wednesday, January 23, a delegation from FCCA PAMAC visited the destination onboard the cruise ship MSC Seaside. The PAMAC Summit is taking place from January 19-26. Port St. Maarten Management were ecstatic with respect to the recognition it received as well as the destination. During the MSC Seaside port call on Wednesday, marine and tourism industry pioneer and one of the first FCCA Platinum Members, Sir Bobby Velasquez, sponsored a tour for his fellow Platinum Members with an unforgettable day onboard one of the company’s vessels La Nina. On January 23rd the boat was transformed into a unique tour designed specifically for the FCCA Platinum members, creating a memorable day filled as guest sailed along the coast taking in breathtaking St. Maarten views and enjoying some sun and sea. More than 100 attendees, including FCCA Platinum Members-key cruise tourism stakeholders-and over 30 high-ranking executives from the FCCA’s 19 Member Lines, are attending the FCCA PAMAC Cruise Summit. The FCCA PAMAC Cruise Summit working visit on Wednesday was a perfect teaser for the attendees leading up to the PAMAC Conference that will be held on the island at Sonesta Maho Beach Resort, Casino & Spa in June. The FCCA PAMAC Platinum Members are also visiting Puerto Rico, St. Thomas and The Bahamas. PHOTO CUTLINE: (L-R) ALBINO di Lorenzo, VP Operations USA MSC, Alexander Gumbs, Business Development and Marketing Manager – Port St. Maarten, Rick Sasso, Chairman MSC USA, Honorable Minister Stuart Johnson, Michele Paige, FCCA President, Lela Simmonds, Corporate Officer – Port St. Maarten. NEEDED: A massive SXM marketing offense!